Last edited by Monsieur d’Nalgar on September 9, 2012 at 4:18 pm. 1965 was an interesting year. The first American combat troops were sent to South Vietnam, Dylan went electric, Muhammad Ali knocked out Sonny Liston, MLK marched from Selma to Montgomery, and the first Charlie Brown Christmas aired on CBS. And by the end of that same year, more than six million Super Balls had been sold. 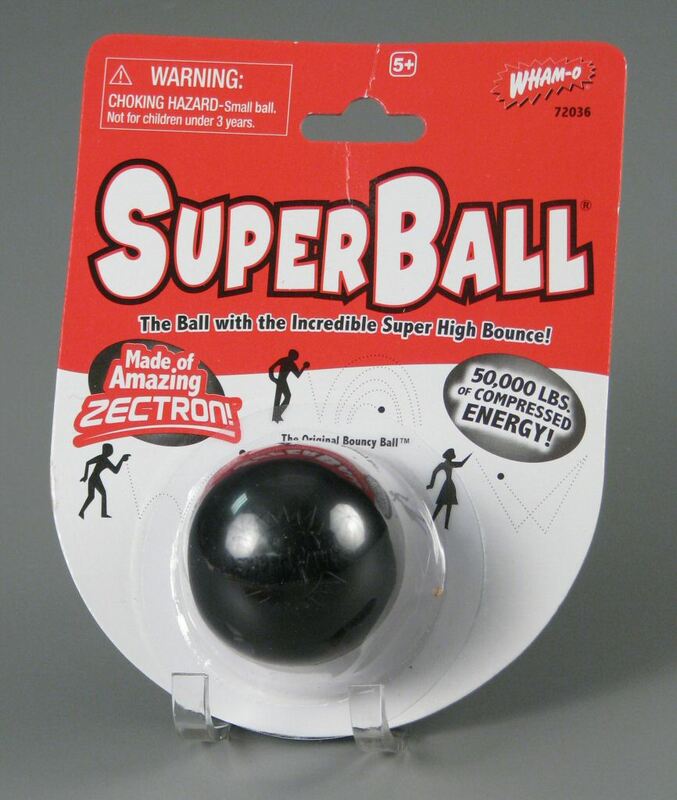 Remember Super Balls? Norman Stingley had invented the super-bouncy toys a year earlier, by compressing synthetic rubber under high pressure. An adult could throw one down hard enough to make it bounce as high as a three-story building. That was almost fifty years ago. But ever since that Super Ball fad swept across America, we seem to have gotten the crazy idea that all sorts of things bounce back. When the bottom dropped out of our economy in 2007 and 2008, after decades of abuse and neglect going all the way back to the hazy, halcyon days of Saint Ronald of Hollywood, we expected a miracle rebound. We even demanded that our miracle-worker du jour, that improbable black man in the White House, magically resurrect the paper-thin veneer of American prosperity, as quickly as it had collapsed. But was that even remotely realistic? Economies don’t bounce back like Super Balls, despite an endless stream of unabashed flim-flam from our gilded Romney-Ryan boys. The last time an economy crashed this hard, in 1929, it took more than ten years of aggressive, progressive government intervention and a global über-war to finally repair the damage that rampant, greedy speculation by a few had inflicted on nearly everyone else. The memories of those hard times are all but gone. Those were just fading fables of our father’s father’s generation, now little more than restless dreams best forgotten in this oh-so modern age. For as long as the illusion we call the American Way holds, while we tell ourselves we are satisfied with trickle-down crumbs from the master’s table, we are a people who bask in blissful ignorance. We live in the serenity of the moment. We exude an exceptionalist’s confidence that someone will come along and whisk us away before anyone notices that we have raped and pillaged in the name of capitalism, or blessings, or whatever convenient excuses satisfy our gluttony for the things of this world. The consequences of all that we have done to our planet and each other are gathering quickly, but we are willfully blind to history’s recurring rhythms as we expectantly wait for yet another Super Ball messiah to save us from ourselves. Our salvation will not come from Obama, and we all know it. He may have tantalized us four years ago, with hope and promises of change, but he has not yet put our American house in order. In fact, he has traveled down too many of the same bloody paths as the war criminals before him. But as disillusioned as we may be, the real Obama is clearly not the foreign-born, communist ogre the wingnut fringe desperately imagines. He wasn’t hidden among the Kenyan bulrushes, like the baby Moses, waiting to be suddenly discovered in faraway pharaoh’s Hawaii house. Not that it should matter, but he’s not a Muslim. Or a Mormon. He doesn’t hate America. And despite what the frothy ravings of Newt and Glenn would have us believe, he’s not channeling some imaginary anti-colonial notions of a father he barely knew. Obama is clearly the lesser of two evils. Mittens and his Ayn Rand sycophant, Paul Ryan, are a frightening throwback to the God-is-on-our-side politics that have us embroiled in a decade of conflict. They have surrounded themselves with the very same neocon ghouls who romanced Cheney-Bush with tales of empire and Christian conquest. Men who once dodged Vietnam but now urge us on to new wars without end. We have grown weary of Obama’s calls for peace and continued patience, but we should be profoundly wary of men who measure what is best for America by what best serves foreign interests and fundamentalists itching for Armageddon. Have we still not learned the hard lessons of that sad September morning eleven years ago? We cannot sow terror abroad in the name of forever protecting an unholy land from its self-made enemies without reaping generations of terrorism on our own shores. America, even when we didn’t measure up to our own ideals, we were always striving to exorcise our demons, always striving to follow our better instincts. We have descended into the hell of civil war. We have walked on the moon. We can move forward now by once again voting for Barack Obama. He’s not perfect, but for the next four years he will be unfettered by the prostituting demands of re-election. Let’s give him, and ourselves, that chance to accomplish great things. The Grand Old Party only peddles fools’ gold, backward-looking delusions of a Super Ball bounce that will never come. Let us reject such infantile fantasies and embrace an age-old reality, that there is dignity in the honest labor of reclaiming a destiny too long denied. Wow!. The last graf is brilliant, especially the 2nd sentence, for the rest you might tone it down or risk being labelled a pinko like me. The point I think is even Presidents are trapped in the system and we must accept that half-steps are still progress. Giant steps are rare in a system designed to prevent them. Hope to see this in print, and you personally very soon. Subject: Why bother? – NOT a letter submission! Paragraph 1: I wrote “1965 was an interesting year.” You printed “The year 1965 was interesting.” Not a big deal (neither version is a literary showstopper), but it was odd that the very first sentence was altered at all. Paragraph 2: The opening word “And” is omitted. Again, not a big deal except that it ties what comes next with the list of 1965 things that preceded it. Paragraphs 3 – 7: These are all printed as I wrote them. Thank you. Paragraph 8: This is where it gets interesting. This part was completely redacted: “He wasn’t hidden among the Kenyan bulrushes, like the baby Moses, waiting to be suddenly discovered in faraway pharaoh’s Hawaii house. Not that is [sic] should matter, but he’s not a Muslim. Or a Mormon.” This section builds on the silliness of those people I have just castigated as the “wingnut fringe.” It’s also there to play on the intentional church-y, sermon-y language of the entire piece. The Muslim reference was a direct response to a racist-were-it-not-so-stupid letter published earlier in the week by Donald Cunningham (I wish his point of view was rare). And of course, the Mormon reference was a reminder to those who hate Obama, that “their guy” ain’t exactly a kosher Christian. Paragraph 9: This important lead-in to the fifth sentence was omitted: “We have grown weary of Obama’s calls for peace and continued patience, but…” Without it, the poetic alliterations of “weary” and “wary,” and “peace” and “patience” and “profoundly” were completely missing. More curious still was the complete omission of the last sentence, which spelled out exactly what lesson we should have learned from 9-11: “We cannot sow terror abroad in the name of forever protecting an unholy land from its self-made enemies without reaping generations of terrorism on our own shores.” This was the paragraph’s crescendo and helped set the tone for the last paragraph. It leaves little doubt as to those “foreign interests” and it dares to challenge the asinine clash-of-civilizations idea that the attacks of September 11 happened because “they hate our way of life.” It also turned out to be a timely reminder (or would have been had it been included) of the DNC fiasco last week when their platform was suddenly modified by a dubious vote to include references to God and Jerusalem as demanded by Fox News and then the Republican contenders. Paragraph 10: This important lead-in to the final sentence was omitted: “The Grand Old Party only peddles fools’ gold, backward-looking delusions of a Super Ball bounce that will never come. Let us reject such infantile fantasies and…” This ties the concluding challenge back to the opening conversation about unreasonable, foolish expectations of a Super Ball economic recovery, and is one last opportunity to remind readers of the stark choices before them. The contrasts between moving “forward” and the “backward” GOP were not accidental. So overall, I think the letter was significantly damaged by these arbitrary redactions. As a result, it was less elegant and less coherent than intended. Perhaps if you allowed anonymous submissions it wouldn’t bother me so much, but when something I write is weakened by others, it reflects badly on me. Seems like your readers should know when what they are reading is not exactly what was submitted. I’m curious, but is this a common practice among newspaper editors? Again, I appreciate the occasional opportunity to participate in the Sentinel Record’s public forum – it’s a privilege too many Americans never take advantage of.